This is an easy version of the classic dish Giouvetsi. It is a dish of meat (usually lamb or veal) accompanied by some sort of pasta and cooked in the oven. It was often made on Sundays, to be eaten after church. Well you might wonder, who stayed at home watching the oven? Nobody. Years ago not everybody had an oven in their home and so they prepared the meal/recipe in a large pan and took it over to their local bakery (fourno) to be cooked. I remember as a child when I was staying at my grandmother’s, my sister and I would pick up our meal from the fourno for lunch. Each customer had their last name written on their pan so that there were no mix ups and when 1 o’clock approached, our baker had our meal cooked to perfection and ready to be picked up. Now this is a quick and easy version and not really a giouvetsi as I have basically cooked it in a pot and not in the oven, but the ingredients are same and because it is so easy, you can even make it on a weeknight. This is a comfort food, but when you really don’t have time to spend cooking a big meal in the oven, this one pot, lighter version will do the trick. Usually you use whole chicken pieces with skin and all, but I like using boneless, skinless thighs. You don’t have the skin but you do have a bit of fat compared to boneless, chicken breast (which I am not very fond of). Olive oil is used, complemented with tomato and a few spices. 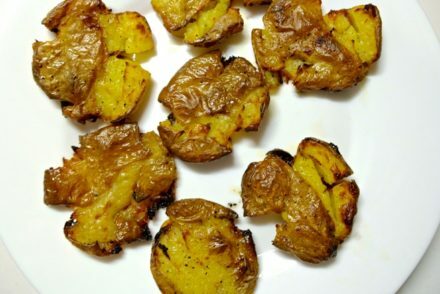 This is a simple recipe and can be infused with as much (or as little) flavor as you want, depending on the amount of herbs and spices used. Rinse the chicken with some wine or water and dry with a paper towel. In a deep pan (3 inches deep) or pot, brown the chicken in the olive oil, at medium heat for about 2-3 minutes on each side. If you are also adding onion, remove at this point the chicken from the pot and place it on a plate covered. Saute the onion until soft. Put the chicken back in the pan, add about 1- 1/2 cup tomato sauce mixed with 1/2 cup water (the chicken should be covered-almost). Add 2 garlic cloves cut in half, a teaspoon of paprika, the cinnamon stick and salt and pepper to taste. You can use less tomato, but I like my chicken quite red. Let the chicken cook in the tomato sauce for about 20 minutes, so that the chicken is done. 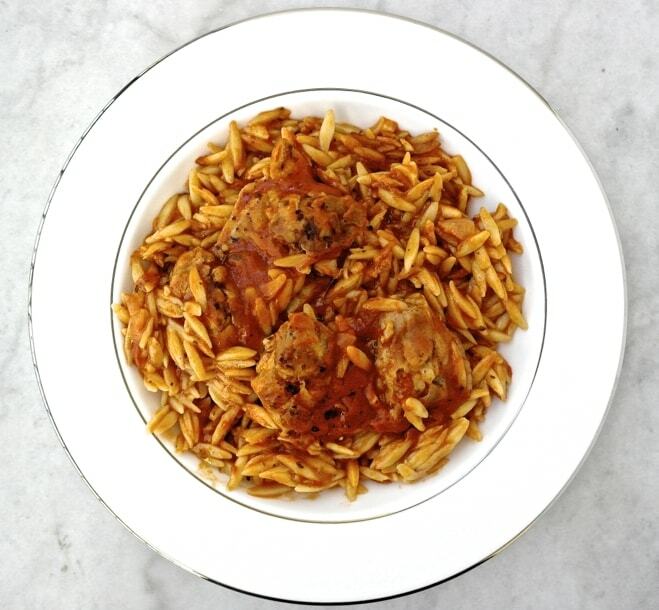 Remove chicken from sauce and cover to keep warm and add the orzo to the pot. Cook/simmer for about 15 minutes until orzo is cooked and almost all the sauce is absorbed. Note, Greeks do not eat their pasta al dente but well cooked, but not overcooked and mush either, so check on it often. When it is done it should have smooth feeling in the mouth but withut bite. Add back the chicken and simmer for another 1-2 minutes warming through. Remove the cinnamon stick and garlic and serve. Serve with grated cheese. Traditionally grated hard mitzithra is used on this dish, but you can use any hard cheese. (I’ll be sharing a vegetarian orzo dish with feta soon). This recipe sounds delicious and easy to prepare. I do have a question though, as to what kind of tomato to use. Is the recipe calling for canned tomatoes or tomato sauce? Thanks. You can use either.I’ll use chopped tomato when in season, otherwise canned chopped tomato or tomato sauce. how many people does this dish serve? My mom always used canned tomato paste and chicken broth. Thank you for sharing Thanasi. I made this with White wine and used both canned seasoned tomatoes and some tomato sauce, Lemon, dill, mint, oregano, garlic powder as I am allergic to whole garlic, paprika, the chicken pcs, orzo and some water. it turned out beautifully. Thank you. it was wonderful. Great! Thank you for sharing Marika! Do you have the nutrition information for this dish? I have made this dish twice now. My daughter loves it. 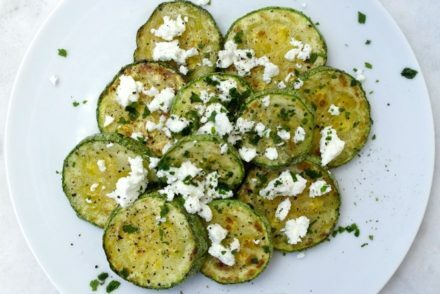 I use feta on top and reduce the amount of salt i use in the sauce. what changes would you need to make to the recepie to make it in a slow cooker? Hi Meg, I have not cooked it in a slow cooker, but I would probably adjust the liquids a bit, otherwise I think it would work well. I am looking for a recipe my grandfather (Greek from Rhodos) used to make in his restaurant. It resembles this alot but had celery and onions in it then the chicken thighs… what I am unsure of is the spices used. I remember my mom making it very simple relative to the spaghetti sauce he used to make which had oregano, parsley basil bay leaves red pepper garlic) … I am trying this tonight but it sure looked like your picture… also I am trying it with quinoa for my daughter who must eat gluten-free…. wish me luck! I’ll look around and see what I can find. Sounds delicious! Good luck Jill! I made this last night for the family and there are NO leftovers- that’s pretty rare for my household. I’ll be making it again soon (but probably doubling it). I used bone-in chicken thighs and meat was amazingly flavored and super-moist. Thank you for sharing Paula! Glad everybody enjoyed it! Oh. Such a lovely written recipe and memories. First time I read about rinsing chicken with wine. Here, in Macedonia, we prepare almost same recipe -Baked rice and whole chicken for Sunday lunch. This recipe of yours is lovely and I will definitely prepare it some day. I love Greece and Greek cuisine. 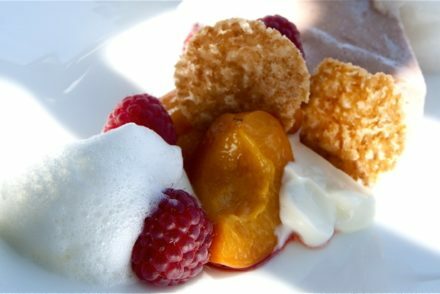 I want to make this so much to print out the recipe but can’t seem to do it. Am I doing something wrong? I’m not very techy, had brain surgery and am 77. So, every thing you can help will be appreciated. Hi MaryAnne, We are in the process, of reformatting all the recipes so they are printable. I just reformatted so you should be able to print it now. If you were going to add the cloves and allspice, about how much of each would you recommend? I made this the other night for dinner and we loved it!! When I took the lid off to remove the chicken & add the orzo, the aroma from the cinnamon stick was unbelievable! I just wanted to grab a hunk of bread and start dipping. This is definitely going on our dinner rotation. Love your recipes – Any recommendations for doing this one traditionally with whole chicken pieces with skin on? Thanks Brian. You follow the same method as above. In step 4 you may need to cook a little longer to make sure the chicken is cooked through. I never see this recipe in Greek cookbooks – I’m so glad to see it here! I made this once, it was delicious. Making it again tonight. Do I leave the co er on when cooking the chicken in the sauce and also when cooking the orzo? Hi Janice, Glad you enjoyed it! Yes, you leave the cover on, just make sure it is only simmering. Hello! I love this recipe it’s delicious, thank you, itreminds me of Greece. However, every time I make it, orzo sticks to the pan! Is there anyway to prevent this besides constant stirring? More water? Less heat?! Or is it just gonna happen! Hi Cassandra, You want to make sure that it does not dry out, so check the water every so often. Love this simple recipe! Our local Greek fest usually prepares something very close to this dish…..very yummy! Tried this recipe on the weekend … delicious … thanks Elena. 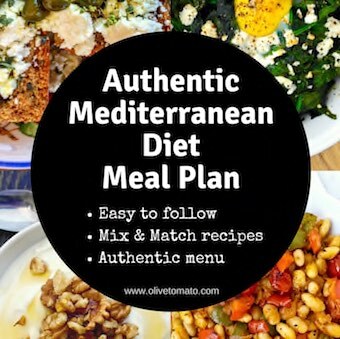 Weight Watchers Diet as healthy as the Mediterranean Diet? Really? That’s what U.S. News says.